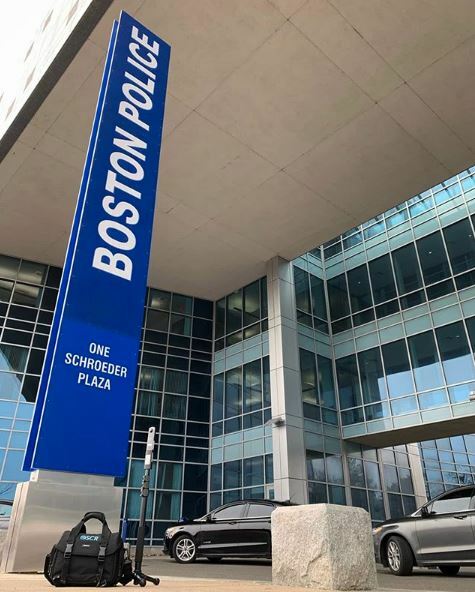 BOSTON – March 25, 2019 – PRLog — L-Tron Corporation recently visited Boston Police Department, Cambridge Police Department, and Harvard University to demo its OSCR360 photography and software equipment for crime and crash scene investigation. Not only was OSCR well received, L-Tron has been invited back to Massachusetts next week at the request of the Massachusetts State Police. Following a momentous trip to Dr. Henry C. Lee’s Institute of Forensic Science in New Haven, CT last month, the L-Tron team had the opportunity to demo OSCR360 to another well-known educational institution. As the oldest college in the United States, Harvard University has a prestigious reputation around the world, admits a very selective group of students to its ranks, and sets the standard to which many other universities strive to attain. OSCR360 was demonstrated at Harvard for the purposes of incident pre-planning, civil lawsuits, construction documentation, and dignitary visit planning. While in Massachusetts, L-Tron also met with Boston Police Department and Cambridge Police Department. Boston PD employs thousands of officers in its eleven districts, which serve a population of over 600,000 people. Although Cambridge Police Department is smaller, with approximately 300 officers representing a population of over 100,000, the town’s daytime population increases to over 200,000 with Cambridge’s two sizeable college campuses. Both law enforcement agencies deal with a wide range of policing challenges and welcomed the documentation and presentation capabilities of OSCR360 with open arms. OSCR360 photography equipment and software is a groundbreaking new law enforcement tool that is useful for crime scene and crash scene investigation, incident pre-planning, and courtroom presentation – and new purposes are evolving all the time. Originally built from the voices of police officers, investigators and prosecutors, OSCR was first developed for homicide cases. Now, not only has the law enforcement community expanded OSCR360’s purposes, OSCR has also been widely sought after in the fire/arson field, environmental conservation organizations, and by educational institutions. OSCR360 will be traveling to Maryland & Ohio next. Stay tuned! Learn more about OSCR or request a visit to your organization by visiting https://www.L-Tron.com/OSCR360.